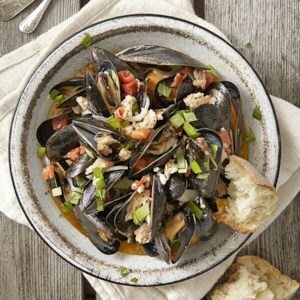 Find healthy, delicious mussel recipes, from the food and nutrition experts at EatingWell. 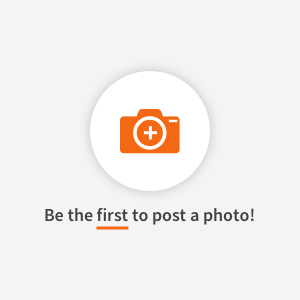 Serve this elegant dish garnished with fennel fronds with a side of grilled artisanal bread slices. 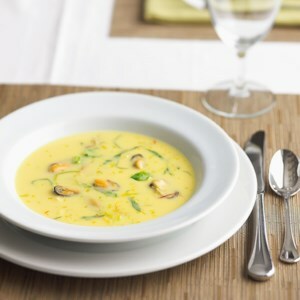 A stock reduction gives this creamy seafood soup a big burst of flavor. By using fat-free half-and-half--instead of tradional cream--we've significantly lightened up this soup. 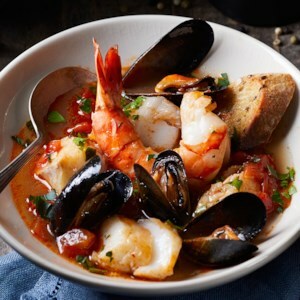 This Fisherman's stew recipe is loaded with cod, shrimp, and mussels and will warm you right up on cold winter days. The crostini served alongside are made with homemade roasted garlic, and perfect for soaking up every last morsel of the stew. 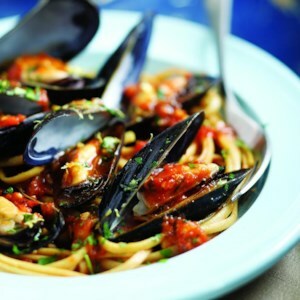 In this healthy seafood dinner recipe, a 3-ounce serving of mussels delivers 665 mg of heart-healthy omega-3s--about what you'd get from the same amount of albacore tuna. Serve with crusty whole-grain bread or brown-rice noodles to soak up the delectable sauce. 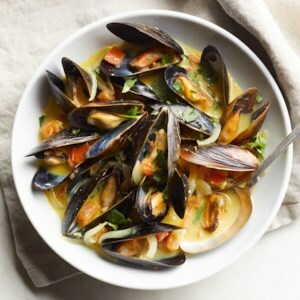 This recipe for steamed mussels incorporates the flavors of the Sichuan Chinese classic, hot and sour soup. Serve over steamed brown rice or rice noodles to soak up the flavorful sauce. Thai curry pastes are a busy cook's best friend--they provide loads of flavor in a single ingredient. Here the spicy green version is used to flavor steamed mussels. Serve over rice noodles. 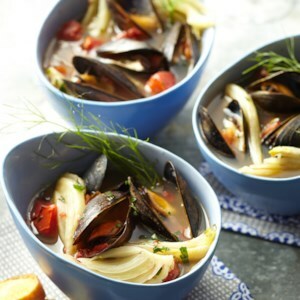 You'll feel like you're dining in a French bistro when you sit down to a bowl of these mussels, flavored with fennel, garlic, tomatoes and white wine. Save some of the fennel fronds to sprinkle on top to intensify the fennel flavor or add a touch of fresh basil if you prefer. 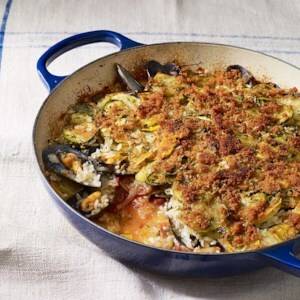 Serve with whole-grain baguette to soak up the sauce. 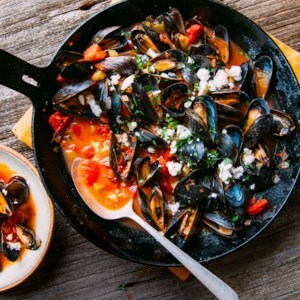 Flavored with apple cider and sage, these steamed mussels are the perfect meal for a cool fall night. Soak up the sauce with your favorite rustic whole-grain bread. 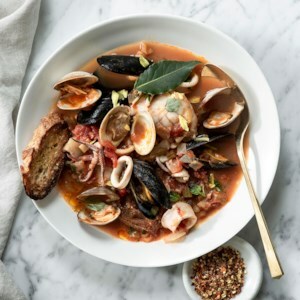 When mussels and turkey sausage meet up with white wine and tomato, pure kitchen alchemy occurs in this quick dinner recipe. The broth that brews at the bottom of the pot will make you feel that a piece of crusty bread (for soaking, of course) is your new best friend.